MDSC your car is SIIIIICK! wow... 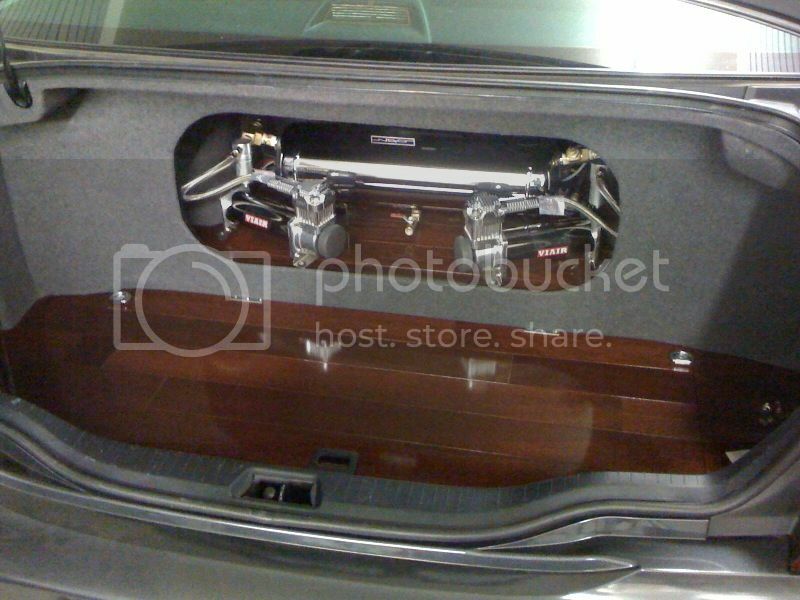 I was thinking about doing wood flooring in my trunk as well. that looks dope! swtjlsy you get your trunk completed?? WOW....Came out really good, Mike.....Good job. i'm using a cache coe6 (i think its the 6)... its a channel summing device that allow you to get a clean and clear bass signal off the stock headunit by blending the front and rear and sub or any combo of these's channels and then it outputs in a new rca output that you can control the frequency and bass boost of. i highly recommend for anyone using an aftermarket sub and am from the factory headunit. Love the VIP trunk setups. Almost! makes me want to convert to air. dang swtjlsy, look awesome !! !